Warren Buffett's entry into automotive retailing may mean more overall competition for acquisitions, but public dealership groups expect no interruptions to their growth plans. The deal by Buffett's Berkshire Hathaway Inc. to purchase Van Tuyl Group, the industry's largest private dealership group, is likely to bring more outside investor interest to automotive retailing. Buffett himself said he wants to buy more dealerships. But with more than 17,000 U.S. stores and widely fragmented ownership, there should be enough to go around. Buffett's interest creates "a lot of buzz" in the dealership acquisitions market, but "I don't think Warren is going to buy all 17,000 dealerships," said Craig Monaghan, CEO of Asbury Automotive Group Inc., the nation's seventh-largest dealership group. "There will be some left that we can buy." Asbury recently signed contracts to buy two large dealerships that will add $250 million in revenue to the company. And Monaghan swiftly set a new goal to buy stores adding another $500 million in annual revenue during the next 18 months. 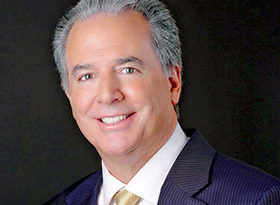 Maroone: "Looking at deals every day"
AutoNation Inc., the nation's largest dealership group, doesn't have a specific acquisitions target, but it also will stay on track, COO Mike Maroone said. "We'll stay disciplined as we always have," Maroone said. "We're out looking at deals every day. We are clearly in a growth mode." AutoNation closed last week on the purchase of Barrier Motors Auto Group, four luxury-brand dealerships generating more than $350 million in annual revenue in the Seattle market. Both Maroone and Monaghan described Buffett's Van Tuyl purchase as a vote of confidence in the industry and a validation of the automotive retail model. "There are a lot of people who look at Warren Buffett as being the quintessential investor, and they say, 'Wow, if he's interested in this space, we ought to go look.'" Maroone said. "So I definitely believe there will be a lot more. There's a lot of cash on the sidelines now, and people looking for places to deploy it." But anyone buying dealerships will need to have experienced operators on hand, or they won't get automakers' support regardless of how much money they have, Maroone said. "Especially with the bigger groups, you're going to have competition. But we've always had competition," said Maroone, mentioning competitors such as Penske Automotive Group, Group 1 Automotive, Asbury and Hendrick Automotive. "So Warren is not the first well-capitalized person in the business, but it's certainly impressive that he's interested in our segment."